Deciding to end your marriage after building a life together is gut-wrenching. For some reason, you will feel like a failure or a quitter even with everyone else telling you that things get better. But, as they also say and as you know, when you think it is over, then it’s over. We all have our breaking points and deal breakers in life, and when certain things happen repeatedly, you become more aware of the fact that the marriage you worked hard to keep has crumbled. 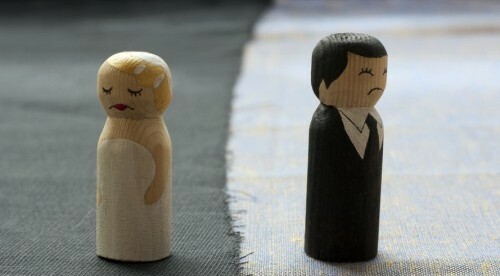 Divorces get chaotic when you cannot agree on important terms. You may exchange hurtful words or even try hurtling blows on each other. If all you do is fight, then you will need the help of a lawyer to keep the tensions low. But, there’s one problem, the lawyer may help keep you apart, but they won’t solve your problems. You’ll have to work on your issues but when you want to involve a lawyer, check their credentials and make sure they are good at what they do. Find a few potential lawyers then vet them during the first consultation (often free). You need a lawyer who is on your side and one who will help you achieve your goals. Although a parent knows best, putting kids and emotions in one bag may not be the best decision. You need a professional to help curate a parenting schedule and a plan, as well as custody hearing. Figuring that out on your own with minors involved is often disastrous, and most states will be against it if you haven’t sought legal counsel. So, unless you have mature kids, stick to a divorce lawyer. If you or your spouse needs support after the divorce, you must find a divorce lawyer. Determining the value of alimony is tough especially because the laws on alimony and spousal support are unclear. You will have to determine if they are entitled to alimony and also how much they should get. So, even if the state laws differ, you must involve a lawyer to ensure that you have all the facts right. You are an emotional wreck. You need to protect your parental rights.